Our sun will never set. as I battled misty feelings. I hadn't known up until then. I had a love for you, so deep. Then slowly let you go. Hope you'll join me in the third #SaturdayWordplay challenge. The word prompt this week is 'Mizpah'. Prose or poetry, just pick this word and let it flow! Looking forward to reading your posts! It is hard to have such feelings and then to let them go. I understand the tears! Nice to see you at Midweek Motif! Thanks Mary! I enjoy being part of Poets United! Sad yet so beautiful. Very well written. ohh the longing in your words, so beautifully expressed. 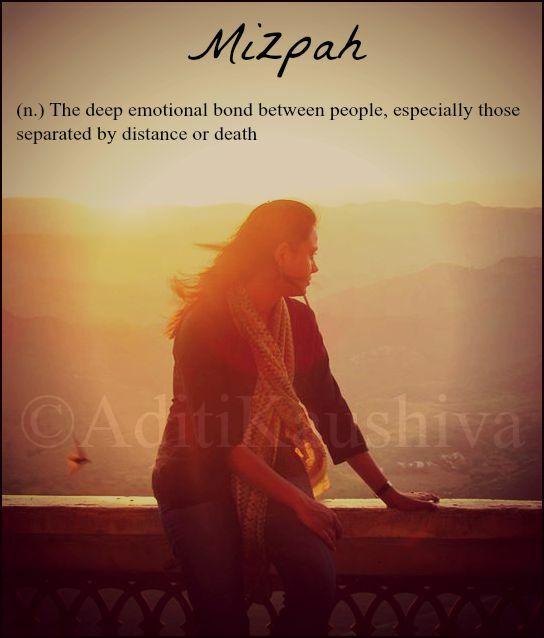 Mizpah !! such a lovely word. Thanks Raj! Would love to see you use this word in one of your poems! This is so touching Aditi..! The longing for your partner is a real pain.. and how the two loves make of every moment just before bidding adieu..